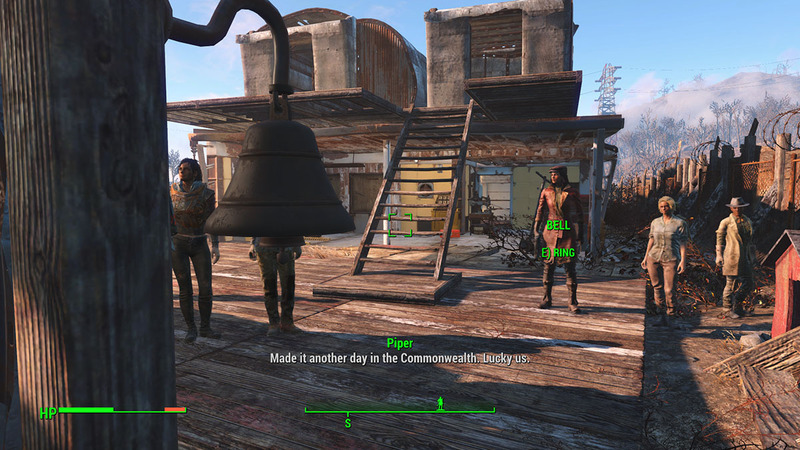 From time to time, you might encounter a naughty bug in one your settlements. Basically, most settlers will disappear and/or they won’t perform their assigned tasks. As a result, the settlement’s happiness will drastically decrease. Here’s how can you resolve this issue. This seems to be a random bug that doesn’t happen that often. I only found it during my second journey at Sanctuary Hills. My settlers went missing, I couldn’t find more than 4 out of 16. Despite my amazing stats, the happiness decreased from 78% t 52%, which clearly meant that the settlement was bugged. Some people still can see their settlers but their stats get bugged too. This is a quick guide explaining how to debug and unstuck your settlement. 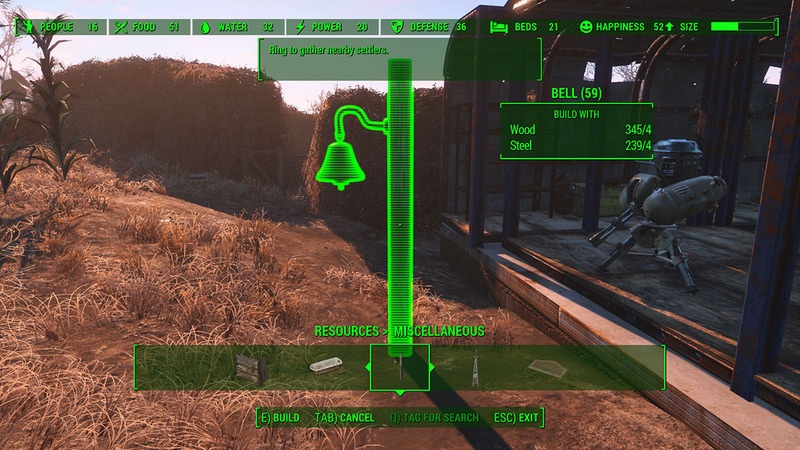 Build a Bell on V under Resources>Miscellaneous. Put it in an relatively accessible zone to avoid further path/stuck bugs. This item will allow you to call every single person living in your settlement, including companions and traders. Now, ring the bell several times. Wait around 10 seconds between usages. I did this five times and everyone came back. The settlers that you see will quickly get to you and the ones missing will eventually return to the settlement. They might get stuck in barricades and fences if you have any, so you might want to look around after spamming ringing the bell. Aright, so now to refresh the settlement go anywhere else and come back. 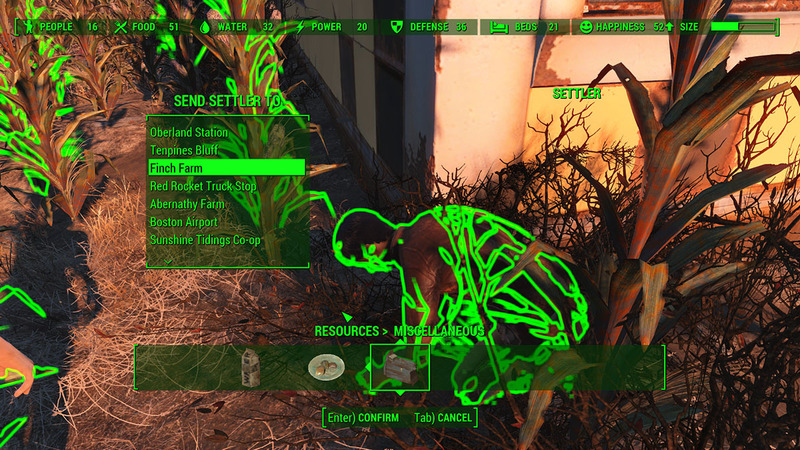 The loading screen should refresh the settler’s confusing bug. If they disappear again, try to do the same procedure. Call them with the bell to get everyone in place, then save the game. The boring part comes now. You need to assign everyone one by one again. If you don’t, they’ll most likely go back to do whatever they want. Missing, walking around, everything else but working on the assignment you gave them. Click E on each settler and then assign them to food, security or trading. Once you’ve re-assigned everyone, wait around two minutes. In my game, the 16 settlers took awhile to assume their re-assignments. Some kind of delay took over and around two minutes after my last assignment order, the system was still sending messages. If your settlers remain bugged, try to send them somewhere else. Send a few to another settlement and get fresh ones from any outpost you wish. Then, check if the bug is finally gone. If so, repeat this method until all your bugged settlement is fixed. 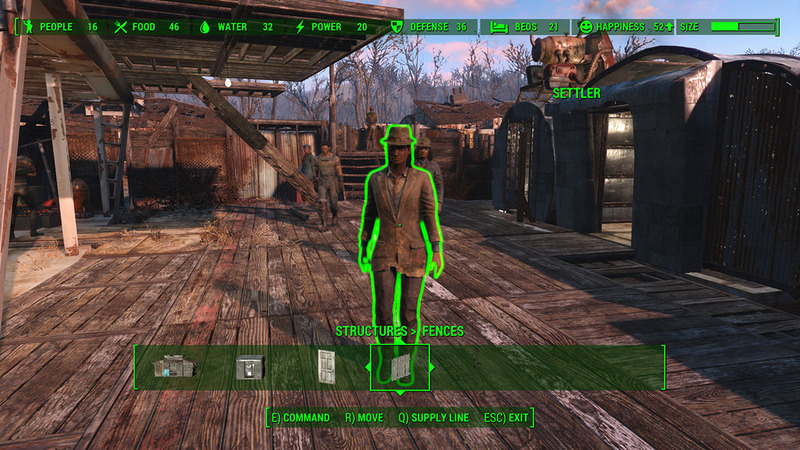 To move a settler, click V, then select someone and click R, now pick a new settlement choice. Ultimately, save your progress and restart the game. All your settlement stuck bugs should be revolved by now. At least they worked in my games. Remember that you might have to repeat certain steps several types until it fully unstuck. This is how you debug your settlements. If you’ve followed these steps, your settlement should be bug free now. Or at least, your settlers shouldn’t be wandering around anymore. 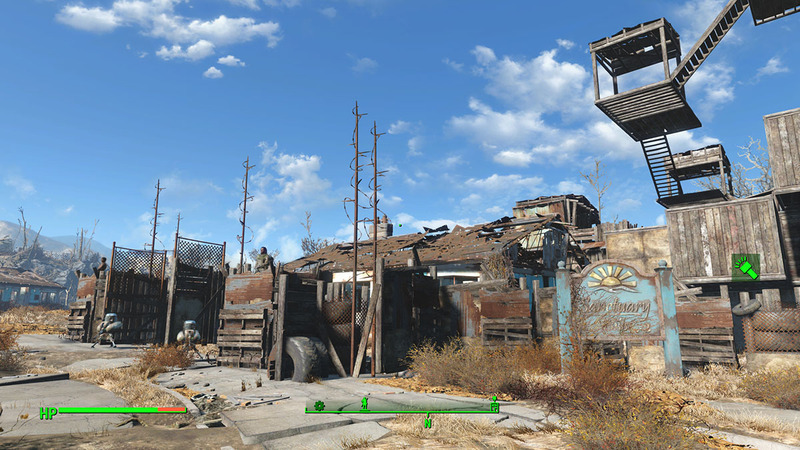 This is a settlement bug fix and it works in every settlement.